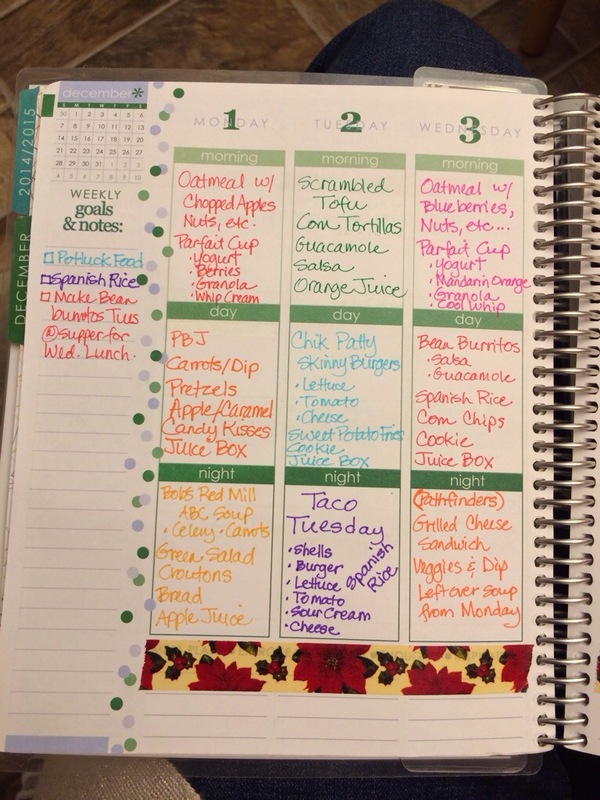 I bought a used planner for 2015 and have turned it into another exercise/food journal/menu planning planner. This past year I was very sporadic about the food situation in this home. My family suffers and mealtime is stressful and something I dread each day. 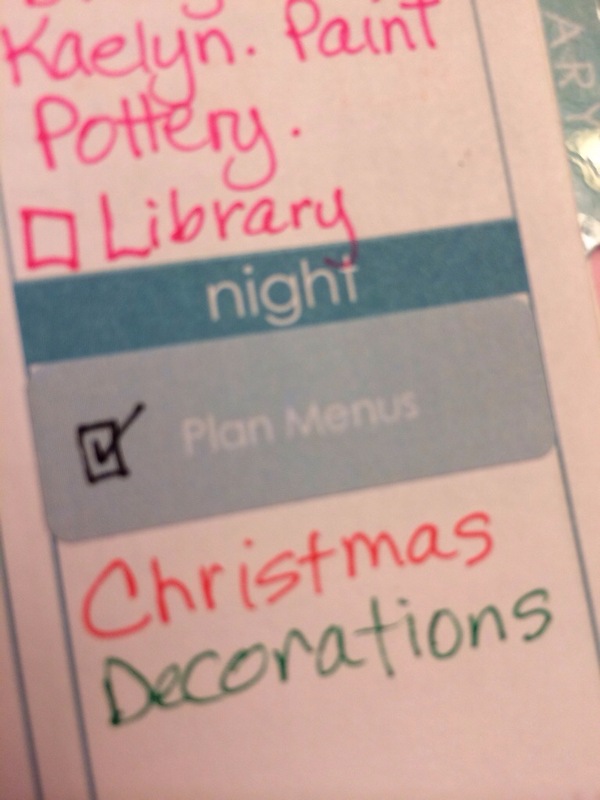 When I have a plan, I do much better, so I hope to be much more consistent this year and plan to do the menu planning each Sunday evening (I even have a custom EC label in my regular planner as a reminder). 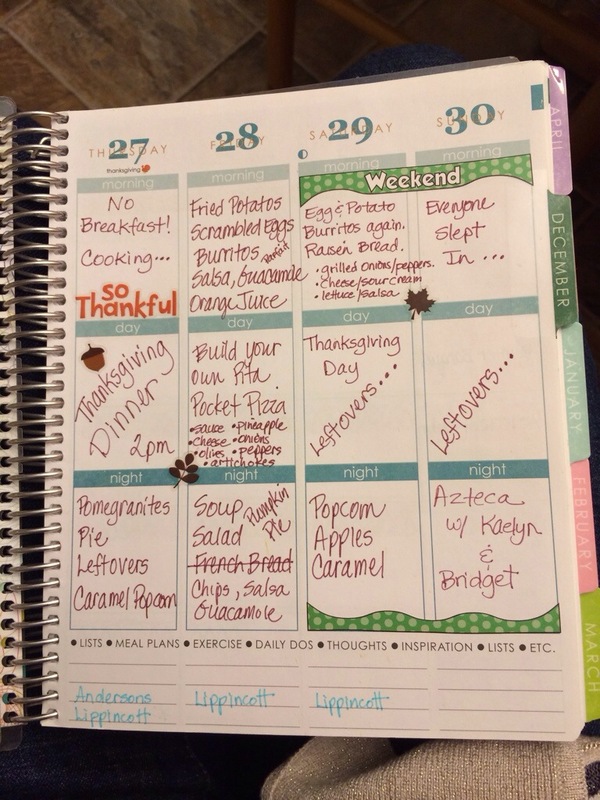 I was thrilled when the used planner arrived (thank you Roxan W) , and it began Thanksgiving week! I had guests coming and needed to plan our food, so the timing and pages from 2014 were perfect! The weekend went very well, and my husband even told our guests, they should come more often because all the meals were better than normal! I credit that to simply having a plan, and following through. Since it’s Sunday night, I’ve been planning the food for next week and have the first part of the week done. I decided to make it colorful. It just makes me happy when I see rainbows and lots of cheerful colors! Thursday-Sunday aren’t done yet, but I’m planning Thursday to be a day for leftovers, so I will have time to cook again before the weekend. I’m planning to use the bottom 2 lines to track any exercise I do (this is another area that needs desperate attention in my life), and we’ll see how far I get with the monthly calendar. Putting all the water stickers in one place is a bit of rainbow happy overload, even though they are cute on the weekly pages. I only tried this on one month and I might ultimately trade the water and exercise spaces and use the monthly as more of an exercise journal/health journal entry for the day. I’m not sure yet as this is all new to me and not something I’ve ever given this much attention to in the past. I really want to at least do the menu/food part of this goal. The water and exercise can come along when I’m able to add those and be consistent with them! 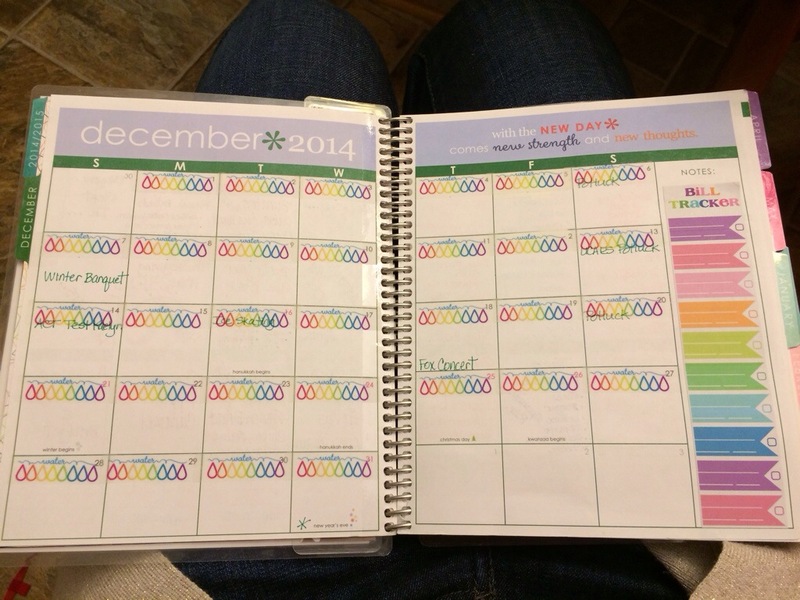 Since this was a used planner, there is a bill tracker on each monthly layout. If anyone has any ideas on how I can utilize that in a food/menu/exercise journal, I can’t wait to hear your ideas. First, I’d like to welcome all the new readers! Every day more people follow this blog, so it’s about time I actually posted something! 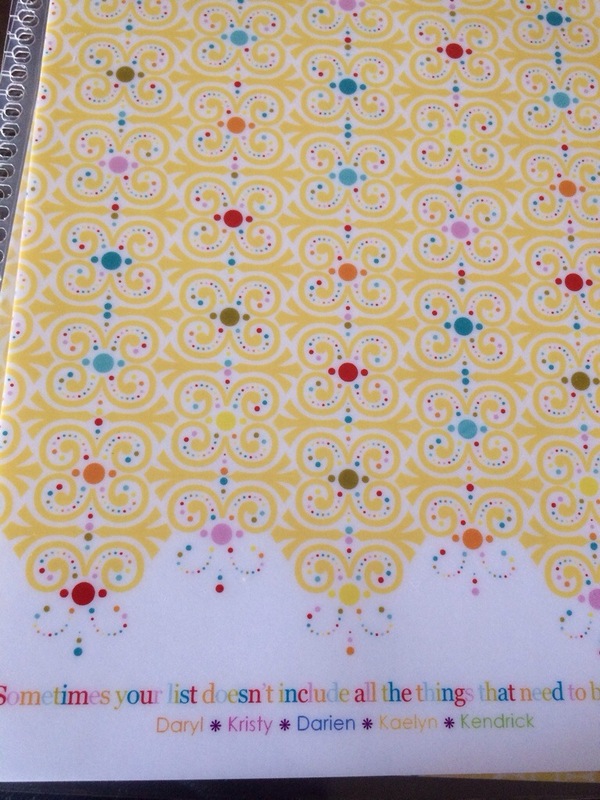 I still love my Life Planner, and use it daily. I chose Candy lace this year, in Butter with multi colored dots. I love it so much, I ordered a Party Pops in Multi on a Butter background, and the Sequins cover in Multi, with a Butter background. I can’t wait to see if they turn out! 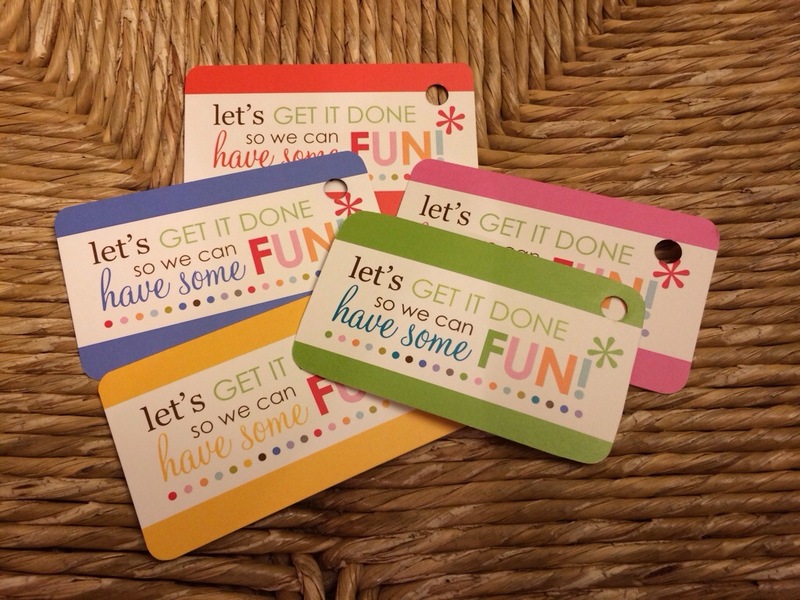 I have enjoyed trying other products from the EC brand, and I’d like to talk about the Functional Family Reward Cards. I first ordered these for my son, to try and motivate him to do some work around the house. I’m not sure it worked, but that didn’t stop me from ordering them for each person in our family. I have found that my favorite use for these cards is for repeat chores or jobs that are performed for a monetary reward. 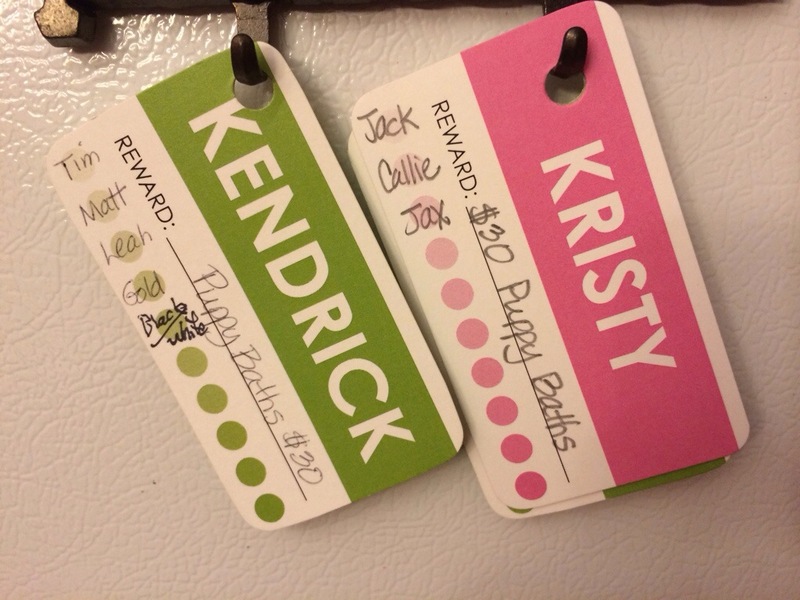 For us, we are keeping track of puppy baths since that is something that must be done regularly around here! I have them hanging on the fridge so they are easy to see and maintain when a chore has been completed. Once the card is filled, payment will be made and another card will be started. 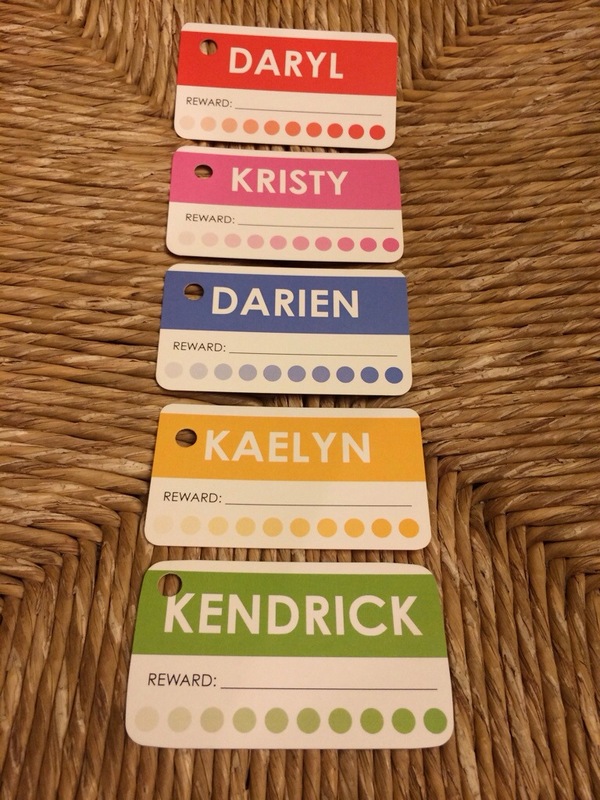 This has really helped my kids be responsible about keeping track of what they’ve done, and it keeps me accountable to actually pay them. The cards can be used for so many things. I think they would make a cute Christmas gift with a special service offered like a back rub, or a favorite dessert, or anything that fits your family’s wants/needs. The “card holder” could cash it in and receive whatever is offered as the gift, etc. 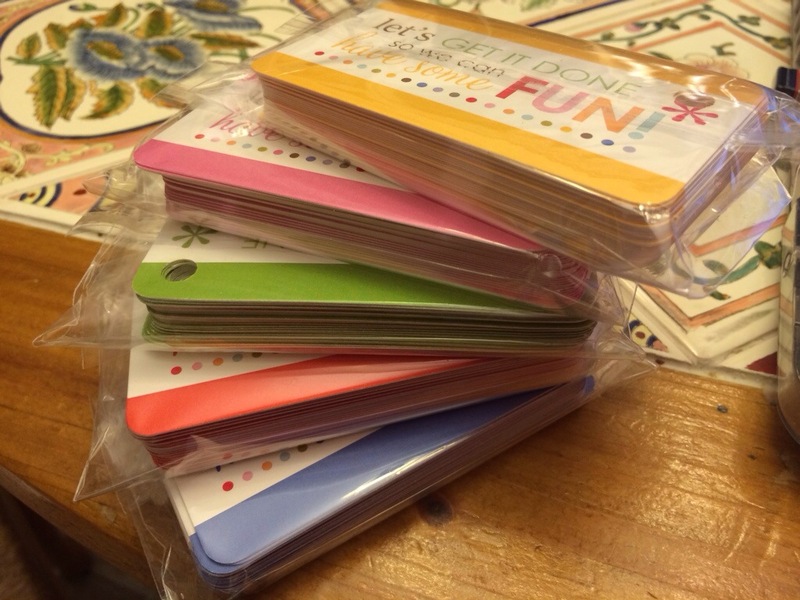 Each card has ten “punches”, and the creative ways in which these can be used is endless!! 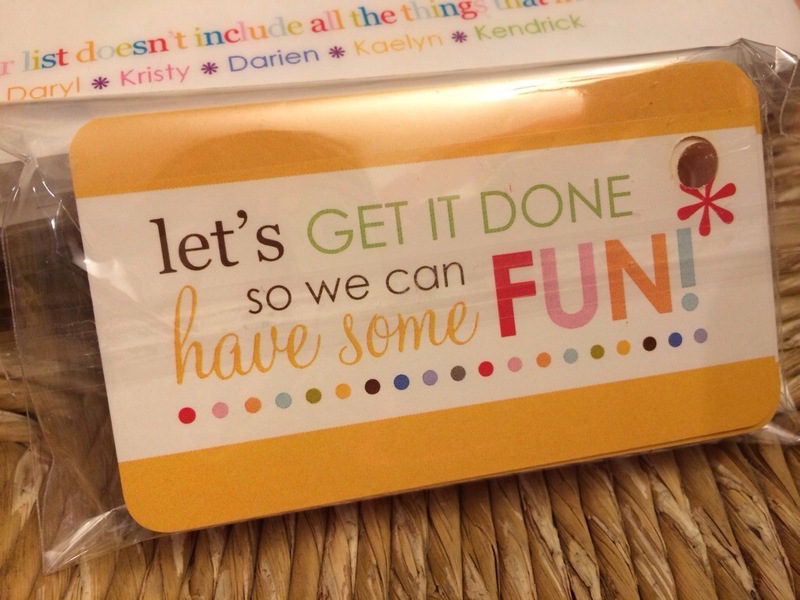 Each pack can be customized with a name/word and you can choose any color. There are 30 cards in each pack. If you have a creative way that you are using these cards, I want to hear about it! Send me an email and tell me your story. Be sure to include some photos as well!